The ears do not just detect auditory sounds and send the messages to the brain, they are also involved in balance and positioning of the body. The ear has an external, middle and inner part. Sound funnels through the pinna (outer ear) into the external auditory canal that ends at the eardrum (tympanic membrane). 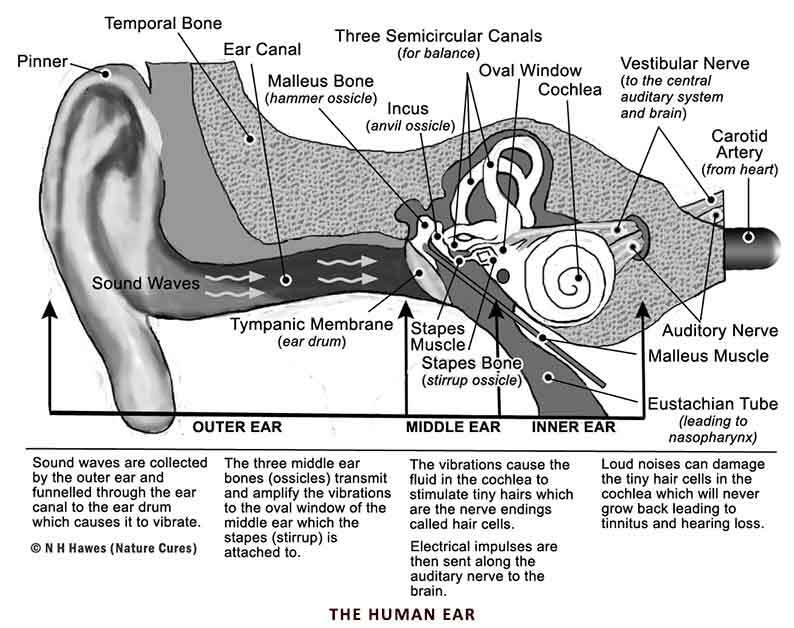 Sound causes the eardrum and its tiny attached bones in the middle portion of the ear to vibrate and the vibrations are conducted to the nearby cochlea. The spiral-shaped cochlea is part of the inner ear; it transforms sound into nerve impulses that travel to the brain. The fluid-filled semi-circular canals (labyrinth) attach to the cochlea and nerves in the inner ear. They send information on balance and head position to the brain. The Eustachian (auditory) tube drains excess fluid from the middle ear into the throat (pharynx) behind the nose. The natural aging process can result in deterioration of the cochlea and other parts of the ear. 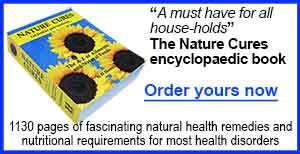 NOTE: Only the most common ones or those that nature can provide prevention or cures for are covered here. Acoustic neuroma is a noncancerous tumour that grows on the nerve which travels from the ear to the brain. Hearing loss, tinnitus and vertigo can be symptoms. Barotitis media is an inflammation of the ear caused by changes in atmospheric pressure which leads to popping noises and pain in the ears and can cause dental pain. It is also called aerotitis and happens most commonly during flying and deep sea diving. Allergies or infections of the sinuses can make the condition worse as can an acute upper respiratory infection. Frequent yawning or closed-nose swallowing during descent when flying, decongestant nasal sprays and antihistamines taken before or during flight often prevent or relieve this condition. Infants are particularly susceptible to barotitis media and should be given oral fluids or feeding during flight descent to encourage swallowing. Chewing of gum or hard sweets such as toffee are often even more effective than eating for older children and adults. Cauliflower ear is usually caused by repeated trauma or blows to the ear during boxing or rugby sports but it can also be the result of infection of the ear lobes or through piercings to the top of the ear. The blood flow becomes blocked and the affected cartilage may die and, without the supportive tissue, fold in on itself. Scar tissue then forms, contributing to a swollen and deformed ‘cauliflower-type’ appearance. Over time, the effects become more prominent and may become permanent. The development of cauliflower ear can be prevented surgically when the trauma has just happened. A doctor can make a small incision and drain accumulating blood or remove a clot and prevent further bleeding. The wound is then stitched and a pressure dressing is applied. It must be monitored closely to ensure there is no infection. Cholesteatoma is a benign condition and is caused by the build-up of fibrous tissue within the middle ear and surrounding bones. Often there is a foul smelling discharge associated with hearing loss. Dizziness and facial paralysis can develop also. To help prevent cholesteatomas occurring or re-occurring it is of the utmost importance to ensure that the Eustachian tubes are kept clear. This means watching for any intolerance to dairy proteins which can cause an excessive mucus build-up and avoiding colds, flus and allergies. A mild heating balm such as eucalyptus rubbed around and below the ears can help improve drainage of the Eustachian tubes. Allergies can be reduced by consuming foods rich in quercetin. See also Allergies. Ear wax (cerumen) may block the ear canal and adhere to the eardrum. The eardrum’s reduced vibrations impair hearing. Warm olive oil dripped into the ear whilst the head is laying on one side then left for five minutes before turning the head so that the oil can run out can remove compacted ear wax but often the ear may need syringing by a doctor. Labyrinthitis is swelling and inflammation of the labyrinth, part of the inner ear that helps control balance. The inflammation may cause dizziness and a spinning or whirling feeling and it can also cause temporary hearing loss or a ringing in the ears or tinnitus and nausea. Labyrinthitis most commonly happens after a viral infection or, more rarely, after an infection caused by bacteria. It has also been known to develop after glandular fever, measles or mumps. As well as dizziness, vertigo and hearing problems, it may cause pain in the ears, nausea, a fever, sight problems and neck pain. There may also be fluid or pus seeping out of an ear. It usually goes away on its own after three to eight weeks but sometimes the effects are more severe and longer-lasting. The dizziness and vertigo symptoms can be worsened by alcohol, bright lights, chocolate, coffee, noise or smoking tobacco so it may help to avoid or reduce these triggers. As with other ear conditions, a cleansing and detoxifying regime is best tried first to flush out toxins. See also Nature Cures For All Ear Conditions below. Mastoiditis is an infection of the mastoid bone, just behind the ear and can result from untreated otitis media middle ear infection. It causes inflammation of the mastoid and surrounding tissues and may lead to bony destruction. It is a rare condition and is more common in children than adults and symptoms are recurrent ear pain and headaches and bouts of fever. Ménière’s disease is a condition that affects the inner ear. It causes attacks of dizziness (vertigo), nausea and vomiting, a feeling of fullness in the ear, hissing and roaring in the ears and some hearing loss. The disease comes on without warning. It may come and go over a person's lifetime. It often leaves no lasting symptoms in between attacks and people with it can live perfectly normal lives. The cause of Ménière's disease is unknown. The symptoms are believed to be related to having too much fluid in the inner ear. Occasionally, this potassium-rich fluid breaks the inner ear membrane and leaks into the potassium-poor outer fluid. This mixing causes a chemical reaction that paralyses the balance system in the inner ear until the fluid balance becomes normal again. The dizzy spells caused by this disease may affect driving or operating of machinery so caution should be taken. Otitis externa is also known as ‘swimmer’s ear’ and is inflammation or infection of the outer ear (pinna and ear canal). Sudden cases are usually infections while chronic otitis is often a skin condition (dermatitis). Warm olive oil is one remedy that can help clear up infection. 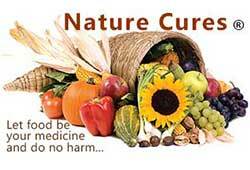 See Nature Cures for all Ear Disorders below. Also known as ‘glue ear’, otitis media is a build-up of fluid causing inflammation and infection of the middle ear (behind the eardrum) and must not be left untreated as it can lead to infection of the mastoid bone. Acid reflux and food allergies can cause glue ear and certain foods may trigger the production of excess fluid in the middle ear cavity and/or the Eustachian tube (serous otitis media). This fluid can become infected and cause hissing and popping noises, discomfort and some hearing loss. Try eliminating the common food allergens such as corn, egg, milk, soya, wheat and yeast one by one to see if this rectifies the condition. Otosclerosis is a disease of the bone surrounding the inner ear which is hereditary. It can cause hearing loss when abnormal bone forms around the stapes, reducing the sound that reaches the inner ear. This is called conductive hearing loss. Less frequently, it can interfere with the inner ear nerve cells and affect the production of the nerve signal. This is called sensorineural hearing loss. It usually begins in the teens or early twenties and some research suggests a relationship between otosclerosis and the hormonal changes associated with pregnancy. Currently there is no cure but a surgical stapedotomy may be performed to try to improve hearing. Foreign objects, infection, sudden changes in air pressure and very loud noises can tear the eardrum. The small hole usually heals within a few weeks. Coming up to the surface too quickly when deep sea diving is one of the most common causes of this condition. Tinnitus is a hearing disorder that can subject the sufferer to all sorts of bizarre ear noises. The most common source: Nerves and special nerve endings inside the inner ear simply wear out with age and overexposure to loud noise. That means the inner ear may be sending phantom or fake sounds to the brain. There can be pulsations from blood vessels or twitching of muscles in the ear, and they will make a fluttering, pulsating or clicking sound. Ringing, buzzing, or sounds like cicadas or crickets are all described by tinnitus sufferers. An earache, medications, a bacterial infection, fungal infection, fluid in the middle ear, a hole in the eardrum or a big plug of wax can cause tinnitus, as can neck or jaw problems, such as temporomandibular joint syndrome or injuries to the head and neck. A hole in the eardrum, fluid in the middle ear or wax compaction can be causes of tinnitus. Prolonged exposure to loud sounds is the most common cause of tinnitus. Up to 90% of people with tinnitus have some level of noise-induced hearing loss. The noise causes permanent damage to the sound-sensitive cells of the cochlea, a spiral-shaped organ in the inner ear. Carpenters, landscapers, pilots, rock musicians, road repair workers and anyone else using loud heavy machinery such as chain saws, guns or other noisy devices or those who repeatedly listen to very loud music. A single exposure to a sudden extremely loud noise can also cause tinnitus. In many instances, (except when it is infection or drug-related) tinnitus is simply not treatable, although a nutritious balanced diet can help. Loudness of a sound is measured in decibels (dB). Exposure to noise at or above 85 dB can damage hearing. Loud music at clubs, gigs and festivals, and through the headphones of personal music players, can all cause damage to the hearing and lead to tinnitus and hearing loss of the top range of sounds. Medications, most notably aspirin, several types of antibiotics, antidepressants, anti-inflammatory, sedatives and as well as quinine medications. Tinnitus is cited as a potential side effect for about 200 prescription and recreational drugs. Menière's disease, a rare and mysterious ailment that attacks the inner ear, has also been known to cause tinnitus. In a tiny fraction of cases, the problem could be the result of a tumour on the auditory nerve of the inner ear. Neck or jaw problems, such as temporomandibular joint syndrome or injuries to the head and neck. Otosclerosis, a disease that results in stiffening of the small bones in the middle ear. Large doses of aspirin can make tinnitus worse, although doctors aren't sure why. One or two aspirin aren't going to do it, but if taking eight to ten aspirin every day, that could be part of the problem. The nicotine in cigarettes acts as a stimulant, forcing the auditory nerve in your inner ear to fire. If you're suffering from tinnitus, that's roughly the equivalent of someone banging garbage can lids together inside your brain. Excess salt (sodium) causes fluid retention within the ear, which can result in swelling and pressure against the hearing organs. And that can contribute to tinnitus, hearing loss and dizziness. Most processed food has extra salt added so avoid that. Some natural foods also have high sodium content. See sodium for foods to avoid for a week to see if it makes a difference. The stimulant, caffeine, also aggravates tinnitus. Drink other beverages instead of fizzy drinks and coffee. See Dangers of Coffee. Loud sounds can exacerbate tinnitus, so it is best to avoid them. If you cannot avoid loud noises, at least wear earplugs. Many people who have tinnitus report that they don't notice their symptoms when they're in the shower. The noise of the water apparently covers the sound. Because the sound of water works so well, some doctors also recommend that their patients record the sound of water pouring out of the faucet and play it just before they go to sleep or whenever they need relief. During a study, 80 percent of people who received 12 biofeedback training sessions over a six-week period actually suffered 80 percent less ringing in their ears. Those who participated in the study learned through biofeedback how to relax the muscles in their foreheads—muscles that are commonly tightened when you're under stress. There's a common connection between stress and increased tinnitus. During biofeedback, electronic sensors placed on your body measure your stress reactions like heart rate, perspiration and muscular tension. Using relaxation techniques taught during your biofeedback training, you may be able to lower those reactions, and in this case reduce your tinnitus. Ask your doctor to recommend someone who can give you biofeedback training. Several electronics manufacturers sell inexpensive units that help mask tinnitus by producing white noise. If you don't want to lay out the extra cash, you can get somewhat the same effect by tuning an FM radio to pick up static. If a build-up of earwax is causing the problem warm olive oil or garlic as an infusion oil dripped into the ear while the head is on its side may dislodge the wax and allow it to run out when the head is turned onto the other side. Foods that can aggravate tinnitus are alcohol, coffee, saturated fats, dairy products, sugar, refined table salt, processed and fast-foods, tea, sweets, and alcohol, as these foods can result in low blood sugar. B vitamins help reduce and prevent inflammation. Vitamin B12 is a considered to be essential for combating tinnitus because it is essential for the formation of the myelin sheaths that surround and protect nerve fibres. B12 deficiency can make nerves more susceptible to inflammatory damage. Alcohol and many medications and recreational drugs cause a deficiency in the B vitamins particularly vitamin B12. In older adults, atrophic gastritis hampers the ability to absorb vitamin B12 from natural foods. Vegetarians, vegans, pregnant and lactating women and those who regularly partake in intense physical activities such as, sports or dancing, can also be deficient in vitamin B12. Severe deficiency may result in pernicious anaemia also called Addisonian pernicious anaemia. NOTE: High sodium foods can cause tinnitus therefore it is best to avoid adding salt to any meals.. Usher's syndrome is a hereditary condition characterised by hearing loss or deafness and progressive vision loss caused by retinitis pigmentosa. Many people also have severe balance problems. Usually, parents who have normal hearing and vision do not know if they are carriers of an Usher syndrome gene mutation and, currently, it is not possible to determine whether a person who does not have a family history of Usher syndrome is a carrier. Unfortunately, there is not yet a cure or specific treatment for this condition. Garlic (three cloves per day). Allow to stand for ten minutes after chopping to give time for the allicin to be produced). Grapes: (black) The mineral compounds iridium and rhodium in grape seeds and colloidal gold in black grape skins have been proven to reduce tumours and so should be consumed daily. Krill oil (one 1000 mg capsule daily) will provide omega-3 fatty acids, vitamin D and astaxanthin which is the most powerful antioxidant known. In many instances, (except when it is infection or drug related) tinnitus is simply not treatable although a good diet, including the natural foods below, can help. Try to include many of the foods below in the daily diet to benefit from their powerful properties and help flush out toxins which can also cause ear problems. Eating a multitude of fibre rich whole grains, fruits and vegetables per day (not just five) will help to readdress any balance in nutrients and provide nourishment for the friendly bacteria in the intestines. They are responsible for a multitude of tasks including; preventing infections, viruses, yeasts and fungi from taking over and creating the components required for healthy bones, organs, blood and tissues all over the body. A cleanse and detoxifying regime should be undertaken first to flush out any toxins which can cause ear problems. See Cleanse and Detoxify. Then the diet should include plenty of fibre-rich whole grains and all colours of fruits and vegetables each day which will help to readdress any nutrient imbalance and provide nourishment for the beneficial bacteria in the intestines. They are responsible for many tasks, including; preventing infections, viruses, yeasts and fungi from taking over and creating the components required for healthy bones, organs, blood and tissues all over the body including the ears. Basil made into a tea and three cups drunk daily has been proven to help reduce hearing loss in the elderly. Freshly squeezed lemon and a teaspoon of honey can be added for additional benefit and taste improvement. Fruit: Blend fruits together, especially berries, lemon, orange, papaya and tangerine with nutmeg, cinnamon and honey, to provide a tasty nutritious smoothie. Add live probiotic yoghurt to smoothies for added nutritional benefit and a creamy texture. Gingko biloba has been proven to alleviate the symptoms of tinnitus and reduce hearing loss due to its ability to improve circulation. Echinacea, garlic, plantain and thyme, taken as teas, can help fortify the immune system and fight off ear infections. Kudzu root extract has been successfully used to treat tinnitus. Myrrh has proven a useful and effective herb for hearing disorders. Propolis and olive oil can be very effective in clearing up infections of the ears. Warm them gently over a low heat then drip a few drops into the ear with the head on one side. Let it sit for a few minutes then turn the head over on a towel and allow to run back out. Alpha lipoic acid rich foods can help to prevent age-related hearing loss. B vitamins especially B1, B2, B6 and B9 and B12 are all essential for ear health. Studies show that the mineral boron must be added to the list with essential minerals because it is responsible for keeping the calcium levels in the body the balanced. It is responsible for the structure and maintenance of strong bones reducing the chance of developing ear disorders. Deficiency of boron can cause growth arrests and an imbalance of calcium, magnesium and phosphorus and increased effect of stress on the body. 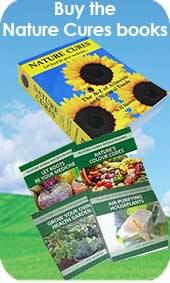 To gain sufficient boron from plants and vegetables they have to be grown in boron rich soil. NOTE: Supplements are not advised as toxicity can be harmful, symptoms are: red rash, vomiting, diarrhoea, decreased blood circulation, shock followed by coma. Symptoms occur at doses of approximately100 milligrams. A dose of 15 to 20 grams is fatal and for children three to six grams is fatal. Calcium also plays a role in many other vital physiological activities, including blood clotting, nerve conduction, muscle contraction, regulation of enzyme activity, cell membrane function and blood pressure regulation. Because these activities are essential to life, the body utilises complex regulatory systems to tightly control the amount of calcium in the blood, so that sufficient calcium is always available. As a result, when dietary intake of calcium is too low to maintain adequate blood levels, calcium stores are drawn out of the bones to maintain normal blood concentrations. This can have an effect on the ear bones too. Copper, together with zinc, improves the absorption of vitamin D which aids in the absorption of calcium. The daily requirement of calcium is reported to be around 400 mg to 600 mg for an adult between 30 and 50. 1000 mg for growing children, adults up to 30 and over 50 and pregnant or lactating women. 1000 mg per day is also required by male female and athletes and up to 3000 mg may be required by athletes in competitive sports. Copper helps with the maintenance and development of bones, tendons and connective tissues and is therefore important for those with ear disorders. Copper, together with zinc improves the absorption of vitamin D, the vitamin which aids in the absorption of calcium. Copper and zinc are antagonists, and the balance between them is an example of biological dualism which means they must be consumed in balanced measures as they have an effect on each other. An intake of too much zinc, which is a key ingredient in some over-the-counter cold remedies, can cause irreversible neurological ailments associated with copper deficiency. Likewise too much copper can displace zinc in the body and cause the zinc deficiency symptoms. By wearing a copper bracelet on the skin, some copper is taken up in the body. Cooking with copper pots and pans also provides some copper to the diet. It is important that zinc rich foods (see below) are also consumed when adding extra copper to the diet. Magnesium can help to protect the ears against noise-related and age-related hearing loss. Magnesium is involved in the formation of strong bones and teeth and is active as an assistant cofactor of the B and C vitamins. The adult human body contains about 25 g of this mineral and the greater part of this amount is present in bones in combination with phosphate and carbonate. It is estimated that 80% of the population of western countries are magnesium deficient due to today's intensive farming techniques which have stripped the soil of its magnesium content. Heavy drinkers and alcoholics often show a low plasma magnesium concentration and a high urinary output. Deficiency can cause problems with bones, joints and cause ear and hearing disorders. Potassium is very important for ear health and can be lacking in the diet due to intense farming techniques that strip it from the soil that food crops are grown in. Intensive physical activity, old age, drinking alcohol and taking some medications can also cause the body to have lower levels of potassium in which case at least one of the following potassium rich foods should be consumed daily. Potassium deficiency may also occur due to diuretic medications or during gastrointestinal disturbances with severe vomiting and diarrhoea, diabetic acidosis and potassium losing nephritis. Phosphorous combines with calcium to create the calcium-phosphorus balance necessary for the growth of bones and teeth and in the formation of nerve cells and is important for the health of the ears. Calcium cannot achieve its objectives unless phosphorous is also present in a proper balance. Too much phosphorous, though, can cause diarrhoea and calcification (hardening) of organs and soft tissue and can interfere with the body's ability to use iron, calcium, magnesium and zinc. It is a matter of getting the balance right which is why supplementation is not advised. Phosphorous, in the form of phosphate or phosphoric acid, is often added to processed foods and carbonated soft drinks and, because too much phosphorous can reduce the amount of calcium that the body absorbs leading to brittle and porous bones and ear disorders, it is important to eliminate these foods and drinks from the diet. Zinc can help to improve ear disorders as it is involved in processes that affect all the senses. If an individual ingests excessive amounts of alcohol, caffeine, drugs (especially diuretics) or sugar it is more than likely that a zinc deficiency will develop. Low zinc levels can also cause liver deterioration and diminished functioning of the reproductive organs, immune system and skin. Hyssop: Hot decoction vapours of hyssop are often used as a natural remedy for tinnitus. For a decoction, 1 tsp. herb should be boiled with 1 cup water then use a towel over the head and the bowl of tea to breathe in the vapours. Then this liquid can be drunk when its cooled once or twice a day. Mullein oil, oregano oil or garlic oil drops in the ear are two specific treatments for earache due to accumulated fluid, especially related to allergies or microbial infections. A cotton swab dipped in a calendula (marigold), goldenseal, and witch hazel tea and applied to the outer ear is useful in treating swimmer's ear. Swimmer's ear is associated typically with pus and moisture in the outer ear canal. Witch hazel helps dry up the secretions, while goldenseal and calendula fight infection.